No need to hit the Pigeon Forge Parkway to try your hand at Mini Golf. 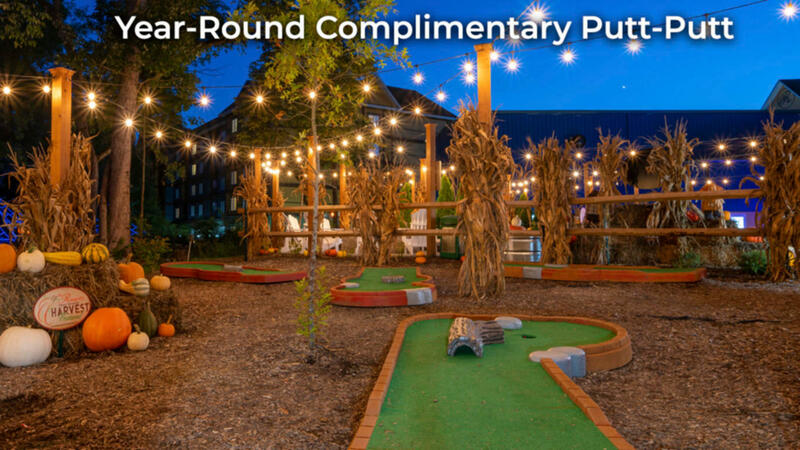 The Resort features an onsite outdoor 9 Hole Mini Putt Putt Golf Course. Just see the Front Desk to check out your putter and ball!